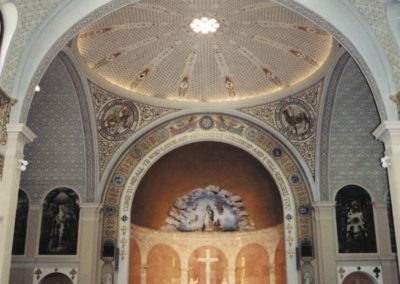 The original apse mural in the Catholic Spanish Colonial Revival Cathedral was poorly executed and in a deteriorated state. 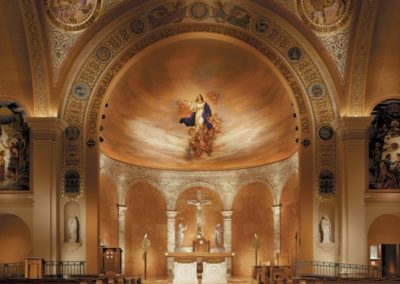 The archdiocese sought suggestions from different studios for a mural that would better harmonize with the Cathedral’s décor. 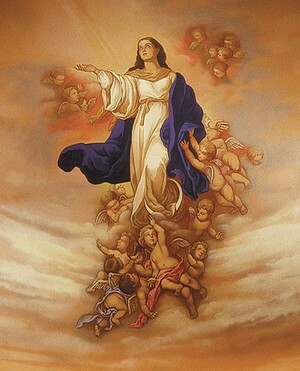 As a traditional piece that would suit the overall space better in background color and placement, CSS proposed the replication of Bartolome Murillo’s Assumption of the Virgin (originally painted in the 1670s). 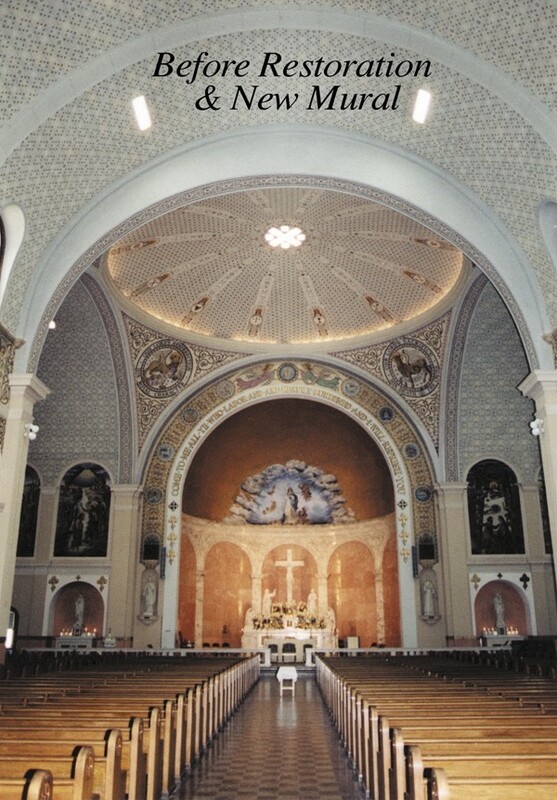 The concept was accepted and CSS received the commission. 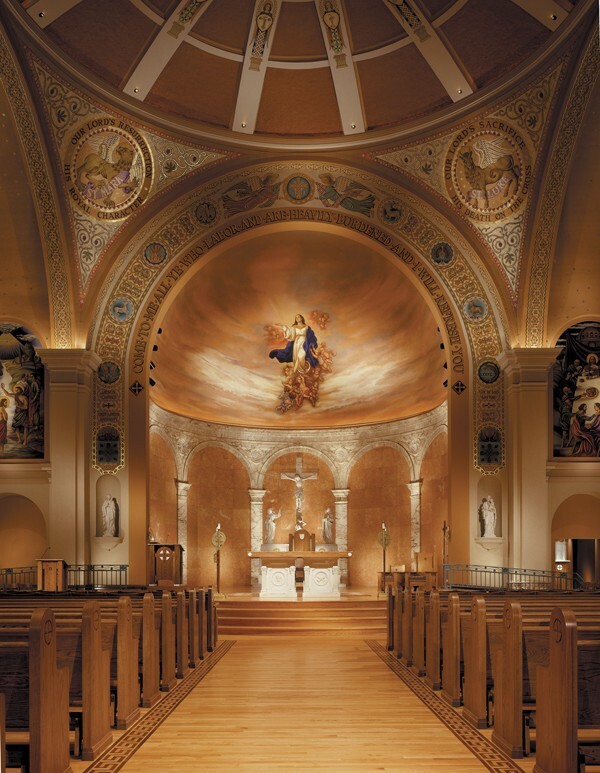 This inspiring, central artwork complements the decorative painting, also restored by CSS, to bring an improved sense of coherence, unity, order, beauty and spirituality to the Cathedral of the Immaculate Conception, Memphis, Tennessee.